We meet with Pete and Sue for another art gallery and lunch; this time it is the Whitechapel Gallery and it’s restaurant, recently taken over by Angela Hartnett (I had the lemon slip soles with mash – a small cupful of potato and about 8 fingers of fish that would all fit into the palm of my hand – for £20). 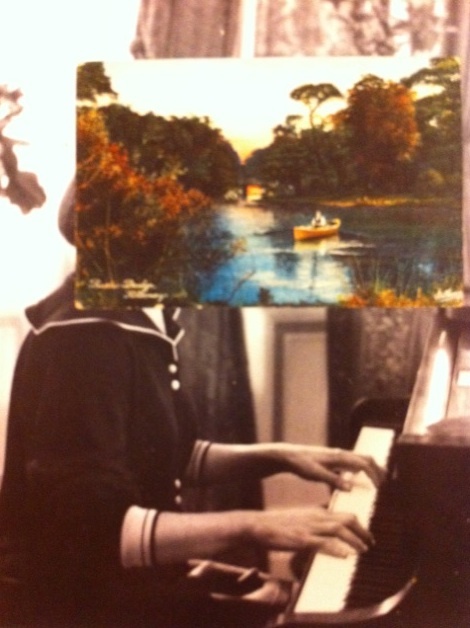 The exhibition was of photo collages by John Stezaker. We had a convivial afternoon but I had a sneaking feeling that both the food and the art were a bit pretentious.